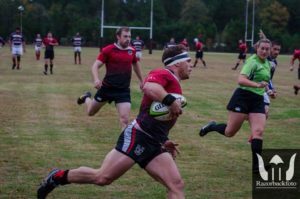 Want to referee the fastest growing game in America? Sign up for the Level 1 Certification course in Austin* on Sep 9, referee two matches and we’ll give you $215 bucks**! 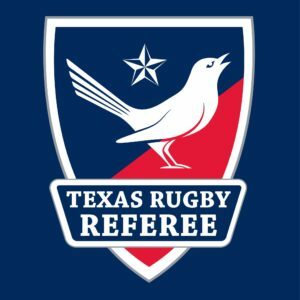 The Texas Rugby Referee Association will help train and develop your skills as a referee. Joining the TRRA team means that you’ll be supported and have a greater understanding of the laws. Still playing? Don’t worry, TRRA can work around your schedule. We even have mid-week and Sunday matches. We have opportunities for travel, exchanges with other referee societies and a one-of-a-kind trip to South Africa to train at the Mattis Referee Academy. 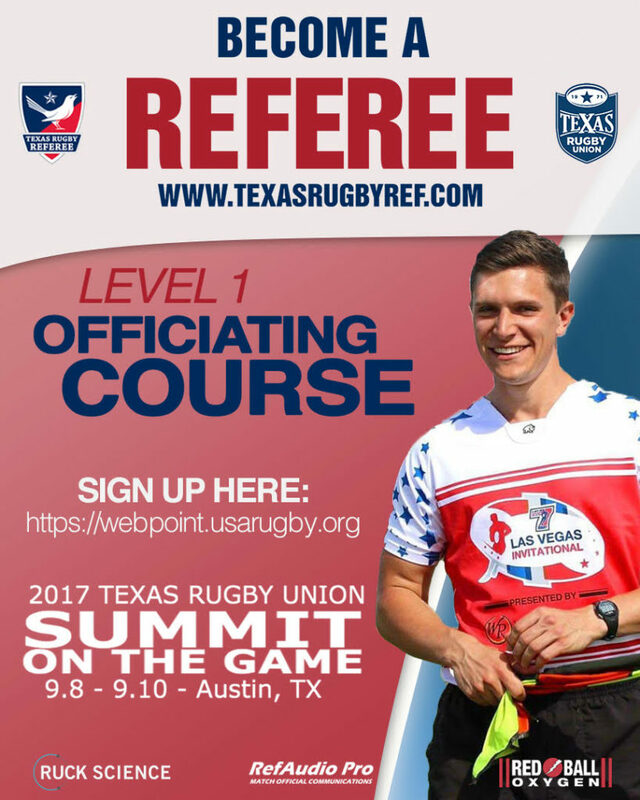 **To receive reimbursement you must complete the referee course, CIPP as a Texas Rugby Referee and referee two matches. You will then be reimbursed your course fees ($75) and reimbursed for two matches (at least $140). 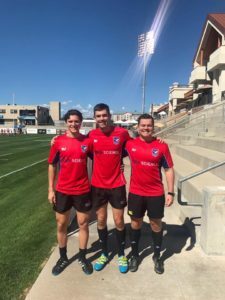 Joey, Cole and Drew (from left) were at #RugbyTown7s last weekend on an exchange with Eastern Rockies Referees. Join the TRRA Team! We will work around your playing or coaching schedule. Want to attend the best referee Academy in the world? 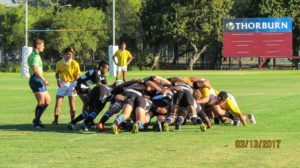 TRRA has two scholarship opportunities for the Mattis Referee Academy in South Africa available. Like to travel? 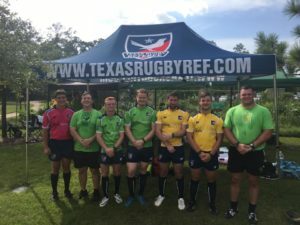 TRRA covers matches in Texas, Arkansas, Oklahoma and Louisiana!